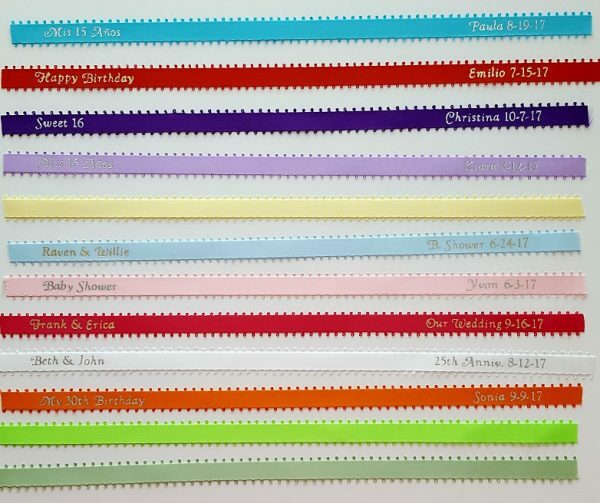 The small loops lining the edge and the smooth silky satin feel of these ribbons will add a personalized elegance to your party favors. 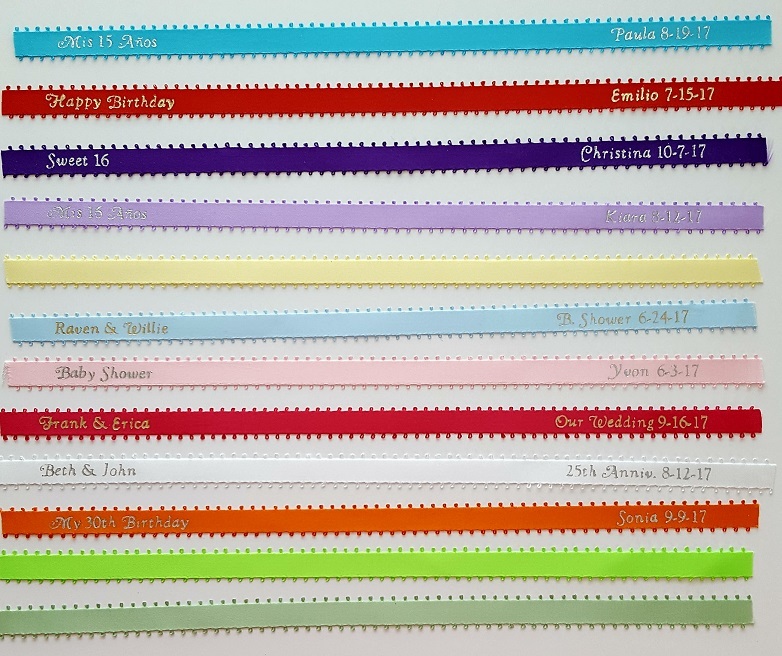 Our personalized hot foil printed ribbons will add an elegant touch to your party favors. 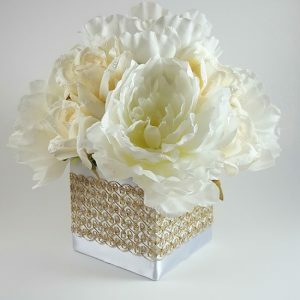 They can be used for Weddings, Quinceañeros, Sweet 16, Baby Showers, Baptisms, New Year's celebration or any other special event. Custom printed on 3/8" satin ribbon. These unique ribbons have small loops lining the ribbon edges. Each ribbon is precut approximately 12" long. 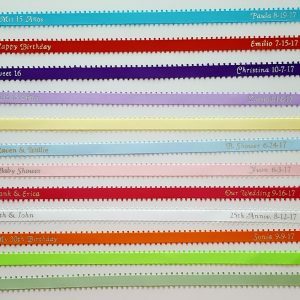 Ribbons are printed on both sides (left & right) with a blank space in the middle. Emblem: If you want the "double hearts" emblem between the names for a wedding, engagement or anniversary, leave us a note in the "Special Instructions" box, just type "double hearts" between the names. If you include emblem, you need to deduct 2 spaces from the maximum spaces allowed. Text should be entered exactly as you want it to be printed on the ribbons. 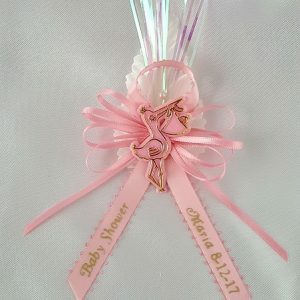 For example, if you are having a "Baby Shower," then type Baby Shower on the left side and name and date on the right side. If it's a wedding, type both names on the left side (options: "double hearts" emblem between names, or the "&" symbol, or the word "and" between names). On the right side you can type the date (January 4, 2008 or 1-4-08). You can also type "Our wedding 1-4-08"
We will print EXACTLY as you enter. Please make sure to review the spelling carefully when placing your order.